Not happy about the way things turned out on Election Day? Fearful that policies and programs addressing issues you care about may be undermined, unfunded or dismantled? Don’t give up; get involved. Here are a few things you can do that, while they will not turn back time, may make a difference in the next go-round. Or at least make you feel like you’re doing something positive. 1. 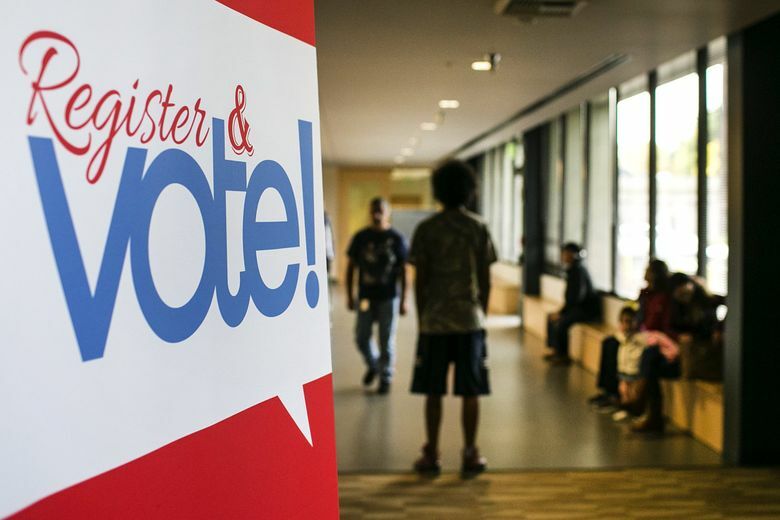 First things first: If you are not registered to vote, REGISTER! If you didn’t vote, you might be experiencing election regret. Don’t let it happen next time. Register now, so you can participate in the process. 2. If you’re concerned about the environment, there are several ways to get involved. Roll up your sleeves and get outside to plant trees, remove invasive weeds and groom trails for the Seattle’s green spaces with SeattlereLeaf. Saturday, Nov. 12, is Green Seattle Day. Volunteers help plant future forest in parks across Seattle from 9 a.m. to noon at Alder Creek Natural Area, Burke-Gilman Trail Sandpoint, Commodore Park, Discovery Park, Golden Gardens, Kinnear Park, Kubota Gardens Natural Area, Lewis Park, Licton Springs Park, Longfellow Creek, Maple Wood Playfield, Orchard Street Ravine, Rainier Beach Urban Farm and Wetland, Woodland Park, and Camp Long, Seattle; all ages welcome, materials provided, preregister at greenseattle.org/get-involved/green-seattle-day. 3. Learn more about the issues minorities, immigrants and refugees face. Through the St. James Immigrant Assistance Program in Seattle, you can volunteer to teach English as a second language or become a citizenship instructor. The Seattle King County NAACP, which started in 1913, offers educational and volunteer opportunities. It’s holding a Youth Empowerment conference for high school and college students from 9 a.m. to 3 p.m. Nov. 19. Register here. Find other volunteer opportunities for the causes you care about at Seattle Works or VolunteerMatch.org. 4. Women were at the forefront of the 2016 election. There are many organizations, including National Organization of Women, Planned Parenthood and Refugee Women’s Alliance, that provide information on women’s rights issues and how to get involved. To find your state representative, go here. For your state senator, look here.